This course is being run by PAMIS in partnership with Simple Stuff Works. 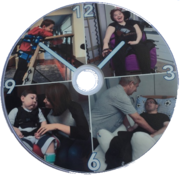 We are working to ensure that a single approach is provided across Scotland to enable family carers and people surrounding individuals with a vulnerable body shape to have the best knowledge and skills in providing good postural care. Attendance at all three days is essential. We are looking for passionate individuals who are committed to supporting families and colleagues to complete accredited postural care training. The course you will undertake is the one that you will go on to deliver. The course is accredited independently and provides learners with a nationally recognised qualification. You will have experience of working with individuals with postural care needs in a person centred way. You will be someone that enjoys working with and supporting others to succeed. You may not have formal qualifications – this does not matter – if this is the case you will work in partnership with other healthcare practitioners. There is homework involved, the course requires 30 hours study time, you will have approximately 5 hours homework time that you will have to commit to. There is no charge for this course, but please bring your own lunch.